The Town of Southwest Ranches is approximately 13 square miles, located in Southwest Broward County, and home to over 7,000 residents. Southwest Ranches is a rural environment, filled with grazing animals, nurseries, farms, exquisite and unique scenery and an abundance of wildlife. The zoning in the Town is almost entirely rural residential and agricultural. Southwest Ranches also has a growing amount of zoning for recreation and open space, which preserves land for the enjoyment of the town’s residents. The newest zoning district is for community facilities that serve the community. 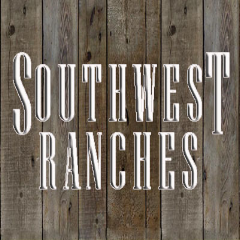 Southwest Ranches was formed to stop encroaching development, and “Preserve Our Rural Lifestyle,” which includes donkeys braying, roosters crowing, and no sidewalks.